GLC - Live in Newport – FREE! GRATIS! RHYDD! Goldie Lookin Chain are proud to announce a first come first served free entry gig at Le Pub, Caxton Place, Newport on Friday August 16th (the 36th anniversary of the death of Elvis Presley). 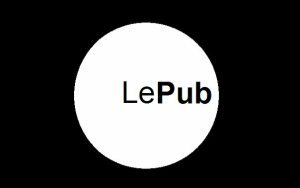 Le Pub was recently named as Britain’s Best Small Venue in a recent poll by the NME. You can also visit www.lepub.co.uk from Monday August 12th for details of where to get your free tickets. Tickets are limited to 2 per person. Doors open at 8pm on the night. Goldie Lookin Chain will be releasing their fresh slamming new album entitled KINGS OF CAERLEON on September 2nd on Golddust Gramphonics / 1983 records. The GLC are taking the party back to their roots, skilfully combining beats, rhymes and swearing to create the ultimate collection of rap essentials to play loud in your car, on your boom box or just to annoy your mum. Behold! It's another new single. Click, watch and get the meat in.